Getting our El Monte RV and packing up. 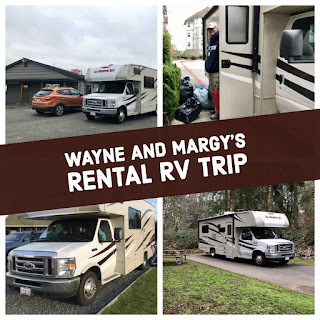 Where have Wayne and I been for the last month? Now that we're Canadian citizens, we decided to try out being Snowbirds. We called our winter escape, Wayne and Margy's Rental RV Trip. Below are some highlights. 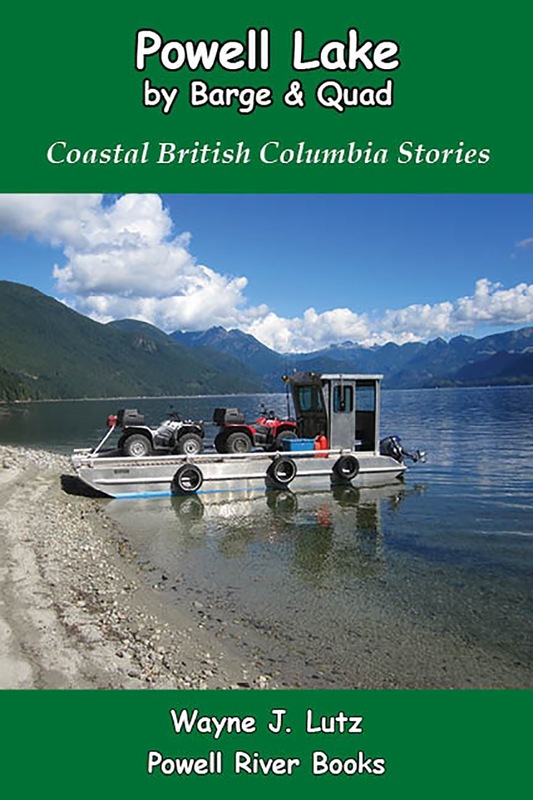 Click on the brown Trip Log title links to see pictures and read the posts on the Margy Meanders Blog. Lessons Learned: We learned a lot along the way about RV life and what things are important (and unimportant) in an RV of our own. 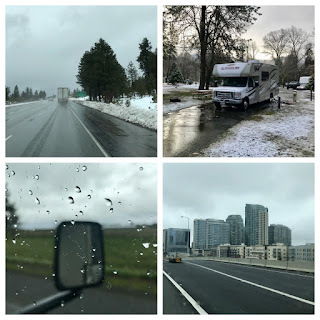 Trip Log Part 1: Pickup at El Monte RV in Washington, a stay at the Bellingham RV Park, then south to Eugene, Oregon. 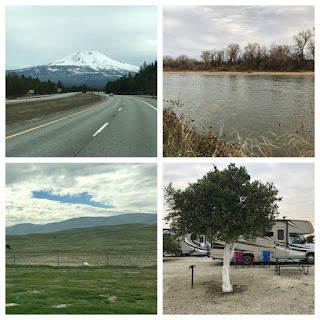 Trip Log Part 2: Southern Oregon to Red Bluff, California, and a look at our RV bedroom. 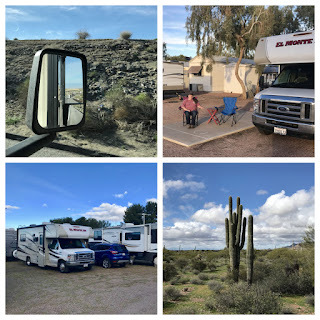 Trip Log Part 3: Red Bluff to Bakersfield's unique Orange Grove RV Park, and a look at our RV bathroom. 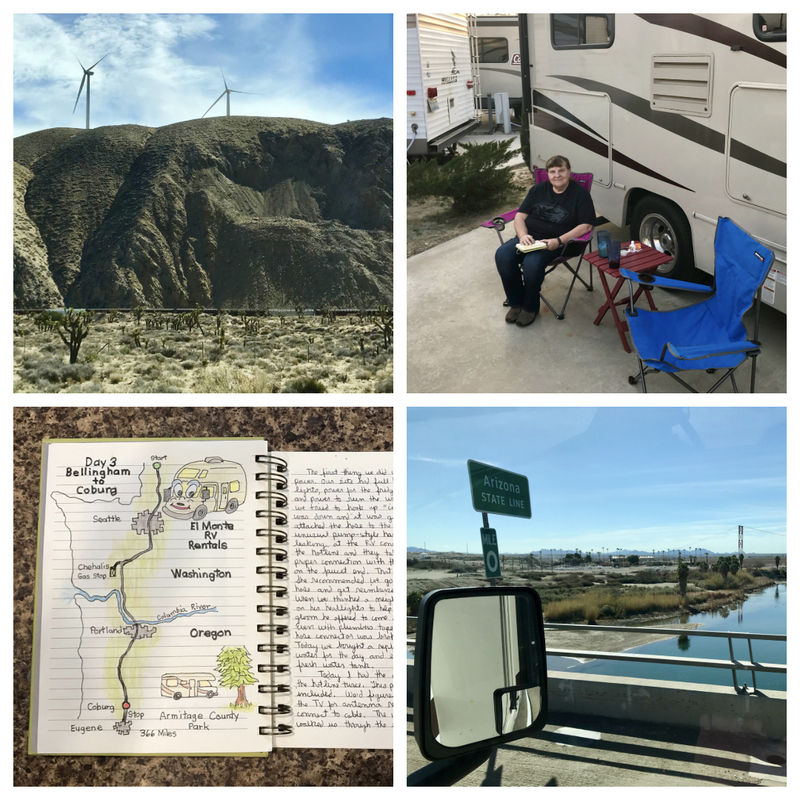 Trip Log Part 4: Bakersfield to Redlands through the Mojave Valley, and how our RV handles waste. 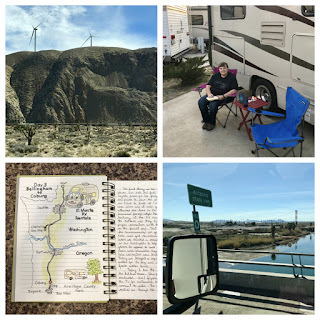 California: Tehachapi, Redlands, my journal and he Colorado River. 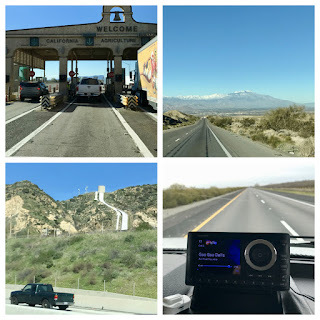 Trip Log Part 5: A rain day in Redlands then off to Casa Grande, Arizona. 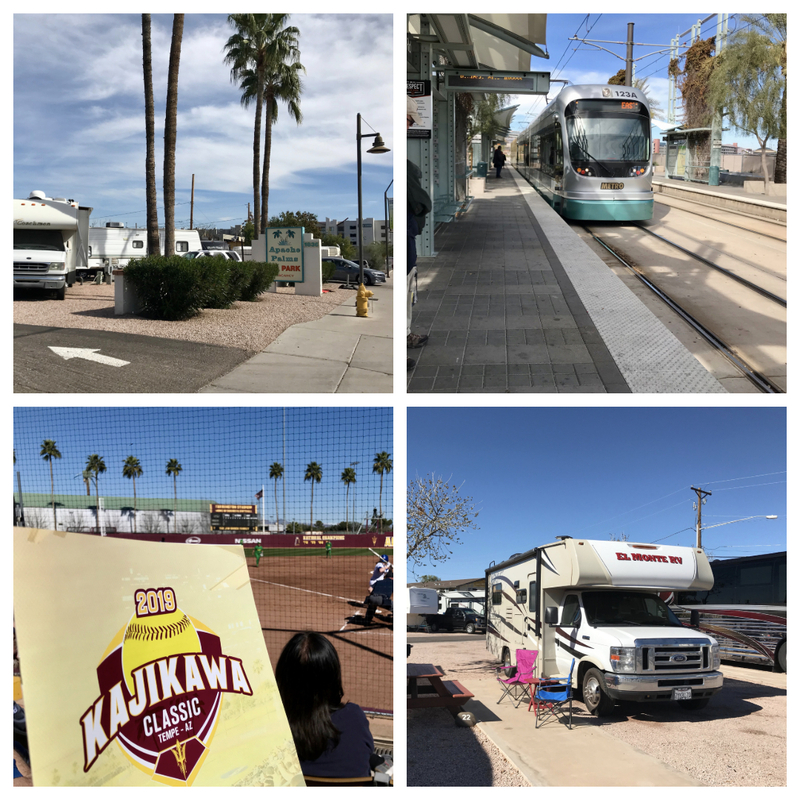 Trip Log Part 6: Two days at the Pima Fairgrounds for the Tucson RV Show, and how our RV hooks up to utilities. Sharing the road with big rigs to Arizona. Trip Log Part 7: Lost Dutchman State Park in Apache Junction, the Superstition Mountains, and RV refrigerators. 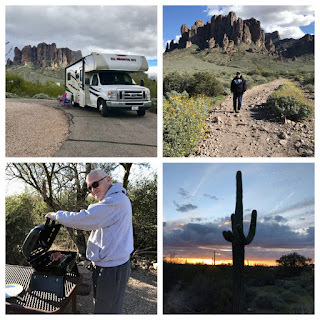 Trip Log Part 8: Apache Junction KOA, back to the Lost Dutchman, and RV levelers. Lost Ducthman State Park, Apache Junction. 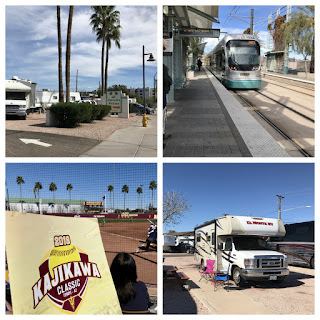 Trip Log Part 9: Tempe's Apache Palms RV Park for three days of Arizona State University Women's Softball, and RV maintenance. Downtown Tempe's Apache Palms RV Park for ASU softball. 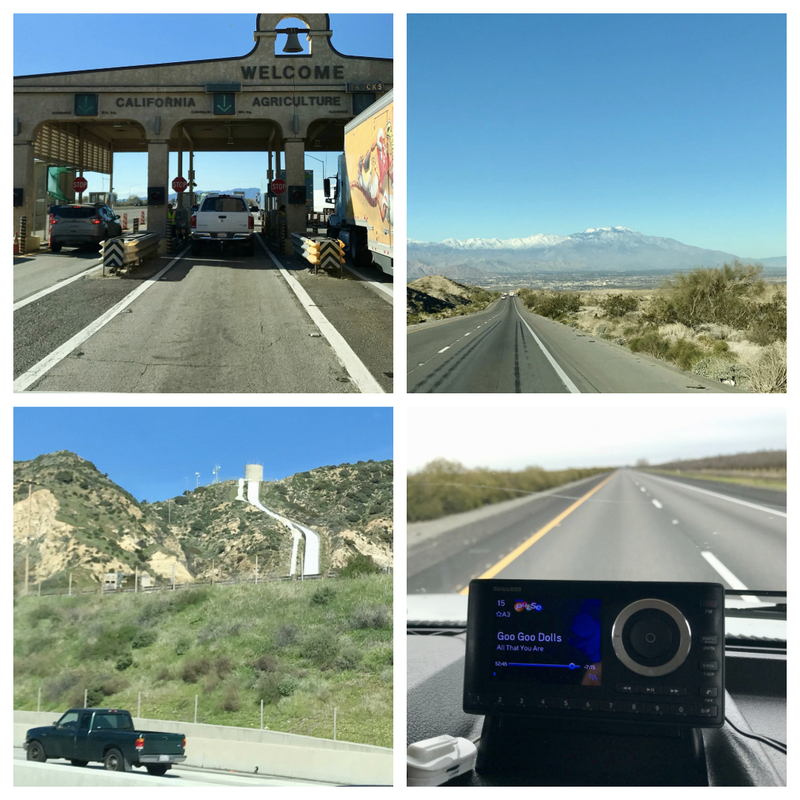 Trip Log Part 10: Heading back from Arizona through Desert Center, the Los Angeles basin, then Visalia via the Ridge Route. Course reversal: California via the Ridge Route. Trip Log Part 11: North through the Central Valley to Red Bluff, and using weather and road condition apps during a snow delay. Trip Log Part 12: Making it over the pass on I-5 to Oregon, camping on the Rogue River, and our RV kitchen. Snow delays at Red Bluff then a run north between storms. 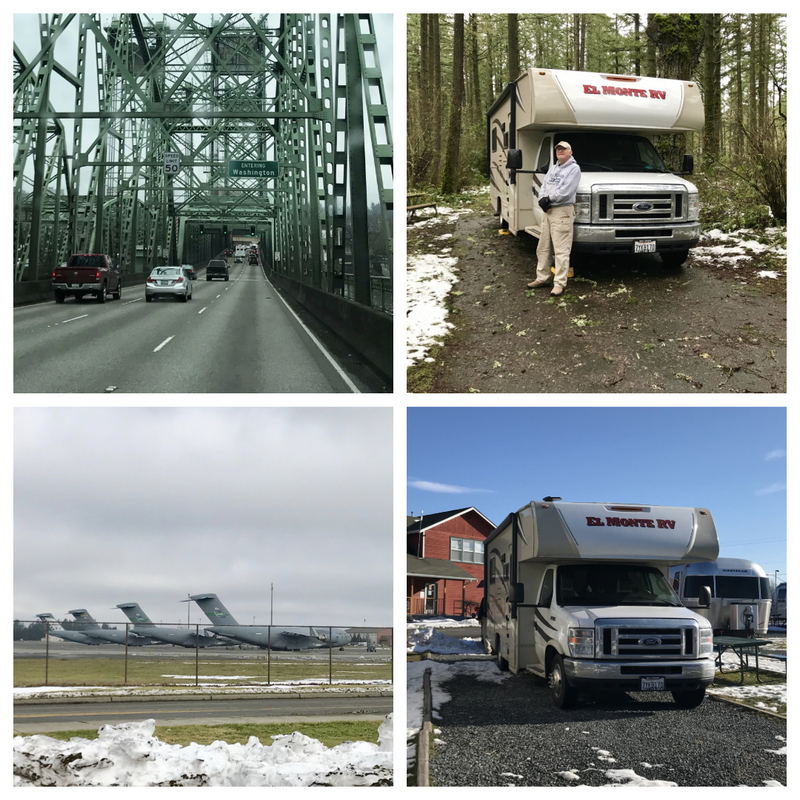 Trip Log Part 13: Back to Washington, the unique McChord Air Force Base campground, and a return to the Bellingham RV Park to deconfigure our rig. 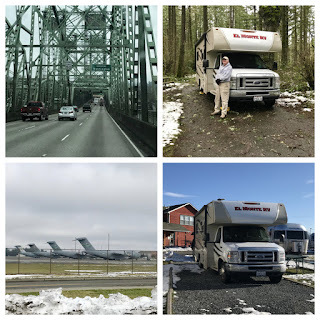 Washington: McChord Air Force Base and Bellingham RV Park. For Christmas I received Educated by Tara Westover from my friend Jeanne. She knows I like memoirs and off-the-grid. 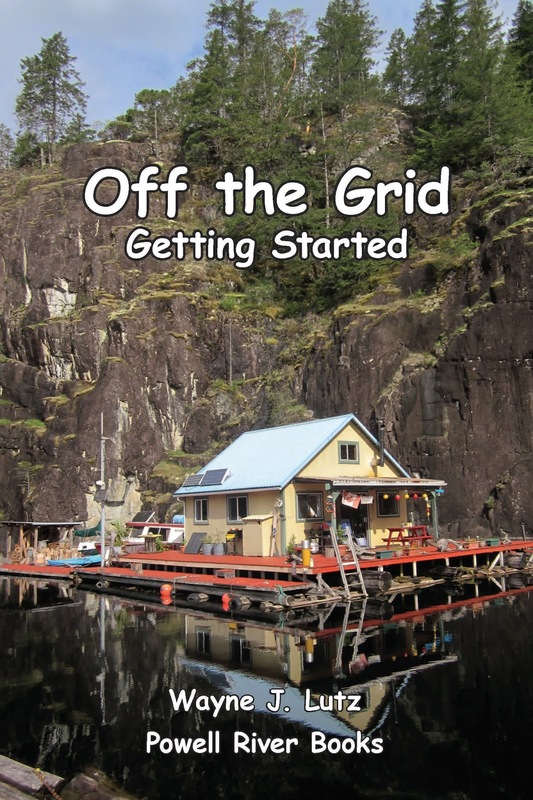 This book was off-the-grid in more ways than one. Tara grew up in rural Idaho with a survivalist father, herbalist mother and older brothers and a sister. Their piece of the family ranch was now a scrapyard, and her father, who was extremely paranoid, was actively preparing his family for the End of Days. Tara's young life was tough. Her father, who most likely was mentally ill, kept a tight rein on everyone. Home schooling (mostly no schooling) was used to keep his children hidden from a government he perceived to be dangerous. While the book's main theme was Tara's drive to become educated, the backstory depicted an abusive home life for herself, her siblings and mother. Even after such a difficult upbringing, it was hard for Tara to separate from her family. Tara wanted to go to school, but her father wouldn't allow it. She was needed to work in the family scrapyard. Her brother Tyler went to Brigham Young. Raised as devout (if not radical) Mormons, it was a logical choice. Plus, BYU accepted home-schooled students who passed the ACT. He encouraged Tara to try and she was accepted. What follows is Tara's journey through becoming educated from nothing at all, through self-teaching, through university and ultimately to earn a PhD in history at Cambridge. Tara persevered through many challenges, so many it seems difficult to understand how she survived, let alone received an education. The book was hard for me to read because of the harsh conditions Tara recounted from growing up. Unfortunately, that has been a common theme in other books published recently. 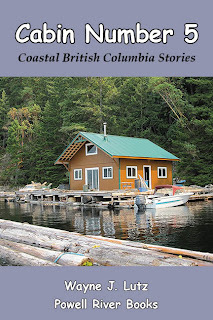 The memoir North of Normal follows Cea Sunrise Person from the Canadian wilderness to a nomadic urban existence with her mother. Cea's search for "normal" first led to becoming a supermodel, then a rewarding life with children of her own. The novel The Great Alone by Kristin Hannah follows a similar theme with an abusive father, mental illness and isolation on a remote Alaskan property paralleling recent memoirs about coming of age and self-actualization. 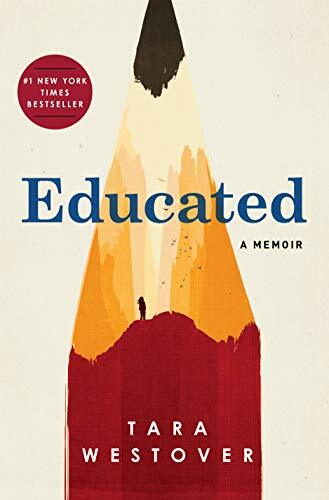 At Amazon, Educated is available in three formats: hardback, paperback and Kindle. 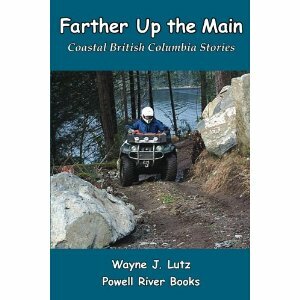 It is also widely available on bookstores and at other online booksellers.